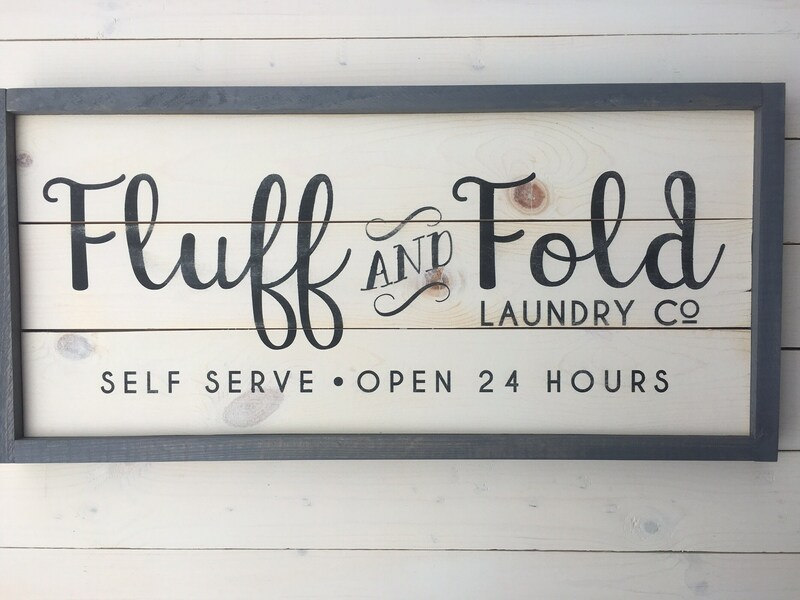 Fluff and Fold Laundry Co.
Self service? Open 24 hours? Yes, please! We recently redid our laundry room - a very light gray in color, new cast iron sink with gray quartz counter top. The washer / dryer are white and this sign gave the perfect pop to the space. It's cute, and I am very happy with it! Well constructed, great quality. I would buy again! Beautiful accessory for my laundry room! Very pleased & highly recommend!